Thanks to Target for sponsoring this post. I am starting to get geared up for my holiday shopping by putting together lists and keeping my eye out for those perfect gifts. I was on my weekly Target run with intentions of getting some early shopping done when I ran across a couple sweaters for myself. I decided that I deserved some cute “holiday shopping” pieces, so I treated myself. 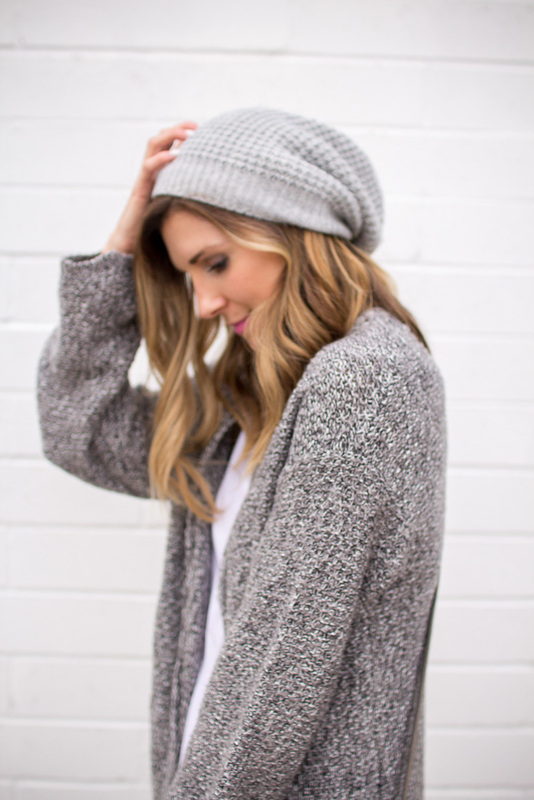 This cute, long cardi sweater has a gorgeous faux fur collar. I loved throwing it on and looking instantly pulled together. I also envision putting this sweater on over my holiday dresses, since it is a great look that could go either dressy or casual. I had to grab the matching faux fur gloves because I am obsessed with grey this season. I love that the faux fur collar is removable, so I get double use out of this cardigan. I have been wearing it nonstop. I removed the collar for a more casual look, and paired it with a cute knit beanie. 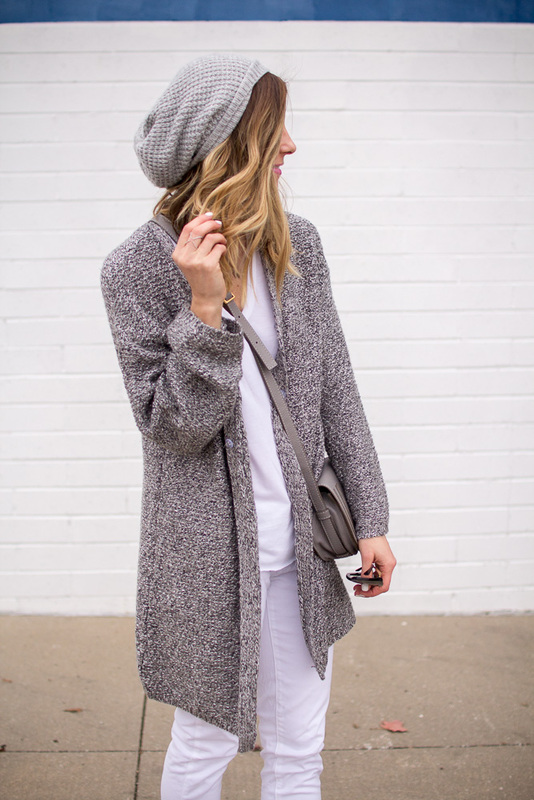 This look is perfect for throwing on to run holiday errands. How do you treat yourself before the crazy holiday shopping rush? This cardigan is fantastic. I would never have guessed that it was from Target. 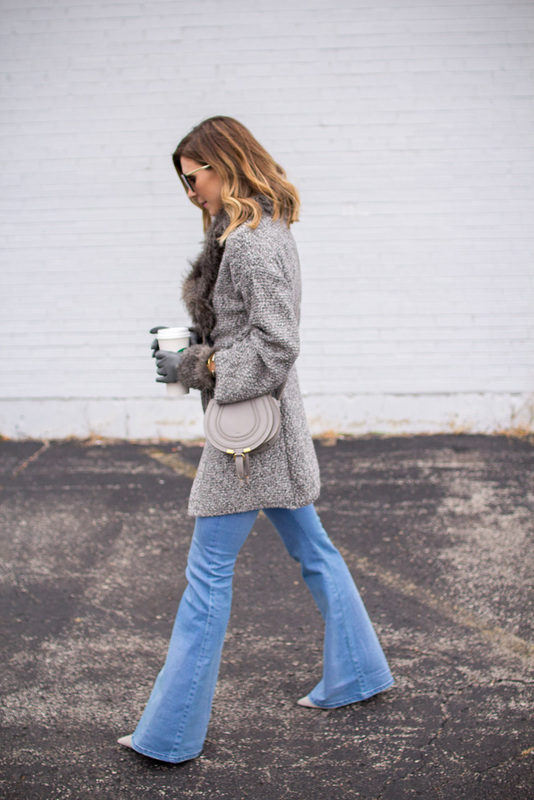 I love the grey color and I love the fur collar. You look fantastic! Have a great weekend!